The story you are about to read is true! It details a personal fable that has followed me through life and at times has directed me. So far, it spans fifty years and weaves in and out of my earthly existence at will. When I least expect it, the next episode unfolds before me and I am sure that this little story is somehow connected to an unknown part of the puzzle. This story surrounds a long-forgotten event chronicled in Mayan documents of a small group of extraordinarily gifted Mayan shaman who fled their homes in southern Mexico more than a thousand years ago. They traveled northward and settled in an area of remote rainforest, which today is the protected biosphere known as El Cielo in the Mexican state of Tamaulipas. This story is remarkable because for more than four decades the Brownsville community and Texas Southmost College students have traveled to the area establishing a postage stamp size field station called Rancho del Cielo. These trips are always impressive producing unforgettable memories and euphoria. However, from the visitor’s stories, there emerges a pattern of strange and unexplainable happenings in the area, somehow connected to The Legend of The Forgotten Ones. The Legend of Los Olvidados, The Forgotten Ones, is a very common folk-motif in Mexico passed on from generation to generation in the region of Rancho del Cielo, a biological field station situated deep in the primal rainforest of Northeastern Mexico. In many ways, the Legend begins around one of the oldest known places in the area, “Ojo Encantado,” the enchanted spring. This is because it is believed that this mountain watering hole provided a resting place and served as a marker for people coming through the area in ancient times. My travels to the region near El Cielo began in the late 1950’s. My father’s cousin owned a hotel in Cd. Mante on the old Pan American Highway and when we visited him during the rainy season, we would always have a picnic on the banks of the crystal clear waters of the Rio Sabinas. In 1958, while I was still in junior high school, I first heard about the mysterious events that the area was renowned for. I would hang around with the kids in the villages and hike with them through the verdant valleys listening to their mysterious stories. By 1964, I was a freshman at TSC and thoroughly engrossed in Mexico travel and the lore of the unexplainable and fantastic. Two years before in 1962, I read with disbelief a series of articles about a strange religious cult operating in the mountains of northern Mexico just south of Cielo. While I will leave that story for later, little did I know at the time that I was directly involved. From the little I knew of Mexico at the time, I imagined the location was near the area I had come to enjoy so much, and it was. I had always been drawn to the ethereal voices of magical Mexico. The following year, 1965, with a small group of college friends in tow I planned a caving trip to El Cielo. The whole mountain is karst-limestone and therefore, cavernous. One sweltering spring afternoon we crashed Professor Warburton’s biology lab in the Gorgas Building and met a short crusty man named Frank Harrison. He was waiting for professor Warburton. We were not in Barbara Warburton’s class, but our girlfriends were, so we were always close by. This chance encounter with Frank on that day would test fate. Before Professor Warburton could run us out of her lab, Frank invited us down to his ranch in Mexico to do some caving. That first trip did not amount to much. We rummaged around in a cave and through cave debris including clay shards, broken figurines and some bones, which we later learned were human remains. Our guide was the first to tell us of the danger that the caves posed. We must be cautious because the “living forest,” as he called it, shifts its shape without notice causing us to be hopelessly lost. Nothing remarkable happened that trip, and I was not able to return for seven years. By 1972, Frank had been murdered at his ranch on the mountain by disgruntled ejidatarios who claimed his land as their own. However, he left the small homestead of land to several Brownsville families and it eventually came to the college. Intended as a biological station, the early building phase at Rancho del Cielo began. I was an anthropology graduate student at UT and thought I knew my way around Mexico pretty well. As a student of Americo Paredes, it was the peak of the Carlos Castañeda craze, and my friends and I were very much in search of the experiences magical Mexico held. During spring break, 1974, we once again headed down to Mexico, this time from Austin. Anthropology graduate students were expected to venture out on short excursions to native Mexico, returning with tales of adventure. One member of our group, a young undergraduate student, and photographer wandered off from the group and was lost for an entire day. We finally found him wandering around in the forest babbling. He told a fantastic story about the forest coming alive, of seeing Indians dressed in costumes, muttered about flying men and a sacred cavern. We passed his story off to hallucinations induced by the magic mushrooms he ate along the way. Years later, I would learn that his story was true. I lost touch with him soon after that. He did not return to school and was rumored to have been institutionalized. Eight years later I received a call from his father, a wealthy doctor in Houston, who wanted to know what had happened to his son years ago on the mountain in Mexico. I did not know what to tell him but that experienced urged me to fit the pieces together. 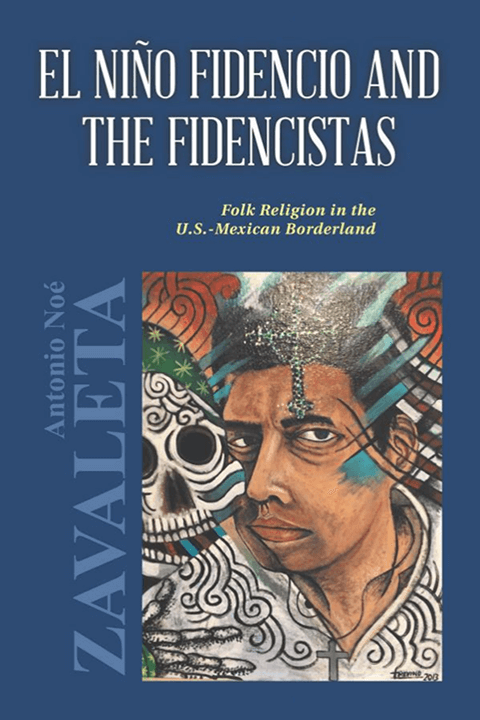 In graduate school at the University of Texas at Austin from 1972 to 1976, I would from time to time, pick up pieces of information about El Cielo, the region, and its people. This region of northern Mexico is very under-studied by anthropology, botany, and geology. Until then, the Legend of the lost ones seemed to be only a story passed along to kids in order to scare them into obeying their parents. However, in 1975, that all changed for me. Faced with writing a graduate paper about the area, I began reading colonial documents about the Inquisition in seventeenth-century Mexico. I spent days in the archives reading about how the Church had sent a group of inquisitor priests to the region to investigate stories of an enchanted mountain in the north, a place of the Tamaul Indians. The most intriguing part of the story was that they were lost and never returned. The priests vanished. I also remember reading about a lost mission in the area of El Cielo, only higher up on the mountain on the west slope of the range. Those priests also vanished. So now, there was documentation of the second group of priests who had vanished, they were known as the lost friars or Los Frailes Perdidos. The mission complex they built was abandoned for centuries and overcome by rainforest vegetation, unbelievably I was able to locate this mysterious place at the top of the Sierra Madre Oriental. 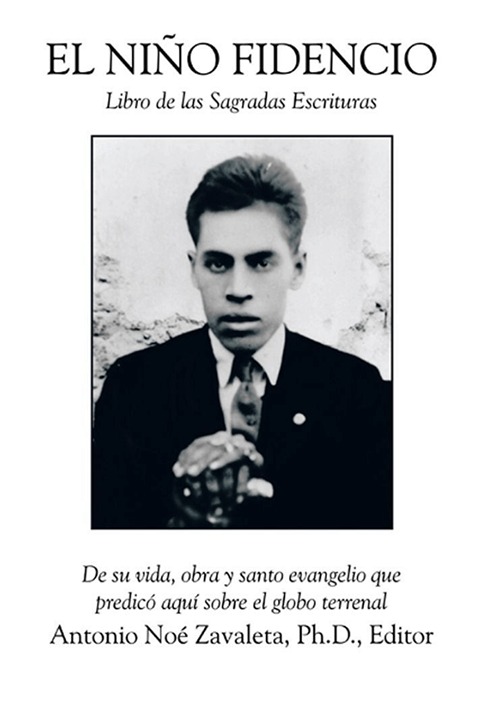 As I discovered from the chronicles, one lone priest did make it back to San Luis Potosi, and recounting his stories he was thought to be mad or possessed by demons. He told a strange tale of the forest coming alive, of trees and stones with eyes, and of a society of witches and brujos in league with strange flying objects and beasts with wings and red-eyes. Throughout my graduate school years, I pieced together the stories familiar to the area: lost Mayan priests, lost Franciscans, lost settlers, and finally, in the 19th century, disappearing children associated with flying objects. As I was about to take my last required class on the history of anthropology a remarkable thing happened. Renowned Mexican anthropologist Angel Palerm, visiting UT from UNAM, was assigned to teach the class at the last moment. I was delighted, what an opportunity. Don Angel, as we called him took an immediate liking to me. It was as if he knew something about me that I had not yet discovered of myself. During our brief time together, in the spring of 1975, he pulled me aside and deeper into the mysterious world of supernatural Mexico. He wasted no time filling in the blanks. Dr. Palerm was the first to introduce me to the Legend of the Forgotten Mayans, Los Mayas Olvidados. He was also very much aware of the lost Franciscans and all of the other legends associated with the mountains around El Cielo. The Mayas were one of the most advanced civilizations of pre-Hispanic America. They were the scientists, the mathematicians, the philosophers, and magicians. They held the key to unknown and forbidden knowledge, and much of their knowledge was believed to be otherworldly. Volumes and volumes of glyphs and scripts disappeared with the end of their civilization. During the decline and collapse of the classical Maya, a priestly caste of “rememberers” foretold of disaster and the decline of Mayan civilization and were accused of witchcraft and forced to flee their land. They fled northward as they had been instructed. This very special sect of “gifted” priests, possessing “sight,” formed the cult of the Flying Men. This was done in honor of those strange beings that visited the area in flying vehicles. The Mayan priests were as feared as they were revered and were simply too “far-out” even for the Mayans. They were believed to have developed a ritual algorithm that opened passages to parallel worlds. Unenlightened people call this the spirit world, but actually, it is a parallel world. The two parallel universes exist today as they have always lived one beside the other. The key to gain entry, however, has been long forgotten. Now and then, some unsuspecting visitor stumbles into one of the doorways in remote places like El Cielo and is never heard from again. Palerm explained that from reading recently discovered texts in southern Veracruz this small group of extra-mystic Mayan priests and their families who were in communication with the “Flying-Men” were instructed to seek refuge by escaping northward from the area around El Tajin and Papantla in Veracruz, up the coast, to a remote cave on a jungle mountaintop. They would know it by a homing device given to them and placed in a sacred vessel by the chief of the Flying-Men. A similar receiving device was hidden deep inside a cavern on the mountain, which draws energy from an unknown technology that combines with the ores and crystals in the mountain. The Legend states that this “beacon” would function for thousands of years, but eventually would grow weak and then finally silent. Only 1,000 years have passed since the time of the Maya, and today the signal is strong. So prevalent is this signal phenomenon in the El Cielo range that the first commercial pilots flying over the area reported an unknown and unexplainable geomagnetic ping over the Sierra Madre Oriental near El Cielo. In fact, because of its reliability, this marker is used by NASA to triangulate space flights with Houston and Florida, and it even appears on some flight maps, although of unknown origin. The Mayan getaway required the priests to ritually sacrifice their willing servants and children as they fled northward from Mayaland. Only the most gifted were allowed to make the trek. The surviving priests had been promised that once they arrived at the mountain top sanctuary, physical aging would slow to a stop and death would be no more. They would exist between the layers of time forever. Once departed, the Mayan priests were never heard from or seen again. Except for an incidental glyph discovered on a Mayan stele at Tamuin, even their own people forgot them. They disappeared into the northern mountains and were swallowed completely by time and space. In the area of El Cielo, physical evidence of their existence has been found and documented in the form of the remains of circular house foundations, middens, and stone and clay pottery artifact including ritual figurines. The evidence is plentiful and revealing. The Legend describes how these objects should never be moved or even touched. In fact, the locals have developed a set of prayers used in the cleansing ritual of those encountering these unusual objects. The slightest brush against the unprotected human skin produces a strange and unexplainable sensation. The human sensors become energized, and the doors of perception are flung open. The most commonly reported effect is a strange and unexplainable dread, and the feeling of being lifted away and of floating in the air. This out-of-body experience is accompanied by reports of their being watched by ancient people all around. In this way, the events of the parallel world are glimpsed and in rare cases when this happens to a “gifted” person, actual communication with the parallel is possible. The Legend is also a cautionary tale, since it is believed that the flying-men who are actually space-travelers searched for uniquely sentient humans for new colonization, hence, abduction is part of the legend. While the physical body remains intact, the spirit is borrowed from the gifted ones. The legend states that when this occurs strange facial expression and uncontrolled giddiness are sure signs that the process has begun. The people who live around El Cielo have become so accustomed to the symptoms that they have learned to live with affected people and now mostly ignore them. However, if left untreated by a curandero, strange and bizarre dreams develop into a behavior pattern, which is irreversible. The proper herbal antidote must be administered to the victim within 12 hours of contact or the process of soul extraction is completed and cannot be reversed. Then it is too late. At this point, the cure for fright sickness or susto may be attempted, but never successfully. I remember long ago, Dr. Palerm telling me that as a “native” anthropologist I would have a responsibility to continue his work in northern Mexico and to document what I could during my time. Recounting this story is part of that fulfillment. Most importantly, he told me it was my responsibility was to see that the information I collect was to be added to his and passed on to the next gifted student in succession. I was also to learn of the plants of the forest and their sacred antidotes. This was also part of the Legend and had been told to him, as he told it to me, and I to you. Failure to comply with the pact of knowledge could result in significant harm to he who disregards it. After graduate school, I joined the faculty of Texas Southmost College and for a short while forgot the words and admonitions of my old anthropology professor. However, drawn back to the mountain in 1976, I soon resumed my trips to the enchanted forest with a new, unsettling knowledge and foreboding caution. Almost immediately and on my first trip to the mountain, after joining the faculty at TSC, I happened upon Doña Eulalia, “Lala,” who lived alone high up on the mountain. Driving by her little house on the road to Julilo, Lala was working in her herb garden and as we ambled by, my eye caught hers. Instantly, I recognized the variety of plants in her garden, which were both magical and medicinal, and I was compelled to meet her. From that first encounter, it was as if we had known each other all along. I introduced myself and she remarked, “I’ve been waiting for you.” I replied, “I got here as soon as I could.” We went right to work I would be her apprentice. 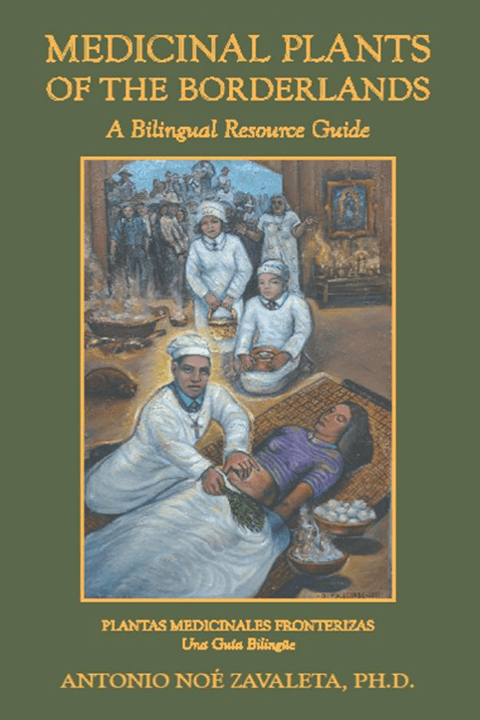 Only later did I learn that her neighbors considered her a witch or bruja, however, she referred to herself as a healer or curandera. I apprenticed with her for next 7 years looking for every opportunity to visit. Sometimes I would spend as much as a week learning about her plants and their use. Occasionally, other apprentices would stop by or we would trek off through the woods to the home of a sick neighbor. During those years, I learned the art of spiritual observation and how observation was an essential part of the “healing paradigm.” From my point of view, I was glad that I was an observer and not an enactor. That is, to do by not doing. I also learned during the next 20 years (1980-2000) about the many hundreds of people who have trekked to El Cielo and the many strange and unexplainable things that happen to them when on the mountain. The Mayan calendar predicted the Flying-Men, or alien voladores, would return and there are numerous flying object sightings over Mexico; flying beasts called chupacabras would appear; there would be unusual markings in the fields called crop circles; mutilated cattle and bloodthirsty cults would emerge. All these things have come to pass as predicted. The people of the mountain have long talked about the forest beast but only recently has it been given the name, chupacabra. This creature is mostly harmless as it leaps through the forest canopy. Its favorite delicacy is the juicy treetop bromeliad common to the forest that it shred with its claw-like appendages. However, beware, these curious beasts are attracted to the ground by flashlights forming beacons of light in the forest night, but most often, they will not attack anything their size or larger. Over the years, many of the local dogs from isolated forest homes and errant children have been fair game for the chupacabra. Doña Lala, being very familiar with the Legend of Los Olvidados, knew indeed, that the forest was alive and that it could shift its shape at will. She knew well of the Mayan priests and that they lived in a parallel world, walking the same paths, inhabiting the same rooms we do when visiting Cielo. Lala considered the whole mountain a living being. We were like fleas on its back. The Legend has it that the Flying-men had discovered this magic forest thousands of years ago on one of their routine visits to this place. So important is this secret spot that the Voladores-aliens shared these secrets with the Mayans with whom they also interbred exchanging genes. Doña Lala told me about the lost children, and that they and the Maya are all living around us in their continuing parallel world. Now and then, when we least expect it, we catch a glimpse of them. The children usually take the form of forest gnomes. The legend refers to them as duendes a universally common Mexican folk creature. Forest dwarfs like to play in the homes and cabins of people who live in the area. Mischievous by nature, they frequently move or remove the personal belongings of visitors at Rancho del Cielo. You cannot just leave personal belongings lying around and expect them to be there when you returned. Around 1983, Doña Lala asked me not to visit her until I was told to because she was caught up in a “War of the Witches” that continued for decades. It simply became too dangerous for an outsider to be there. The war had to do with the Mayan millenarian prophesy. During the time of the war leading up to the changing of the millennium (2000-2001), there was constant spiritual warfare between the primary witches of the region resulting in numerous deaths and disfigurements. Anyone associated with witches, both good and evil, was vulnerable. After my last visit in 1983, I saw her only rarely when in Mexico. However, occasionally I still perceive a signal or a sign that I know is from Lala. Sometimes it is a person that I notice. A word is never spoken. It is not necessary, I am happy that she survived. Every now and then, I will ask about her and she is fine and continues her shamanistic mission on the mountain. While the spiritual warfare has declined dramatically in recent years, it does continue in different forms. 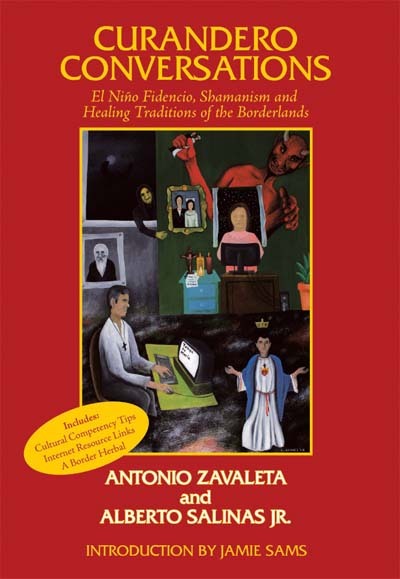 The brujos mayores, or primary witches, and their apprentices still employ the technique of shifting to an animal form. This is a form of survival but also of spiritual combat. Most often witches’ apprentices take the form of birds, while the “maestro” or master, always prefers the form of a large jungle cat, such as a jaguar. These magnificent and sacred Mayan cats still silently wander the trails of El Cielo. They see us, and only if they want to be seen, do we see them. Jaguars appear or disappear into the forest and any encounter with them should be considered dangerous and sacred. If you were their adversary, you would not know it until it was too late. When one of these shape-shifters, or Naguals, has been nearby there is often the report of an aromatic smell of copal combined with a feeling similar to that of a captured soul as it leaves the spiritless body. So feared are these highland witches that the lowland witches hesitate to even speak of their existence. All that transpires in the mountain forests is the work of Los Olvidados, The Forgotten Ones. Doña Eulalia, “Okx-Chul-lala-na,” is an ancient spirit, the master of the living forest. Like so many who have come before her, she patiently awaits the promised return of the Flying-Men. The mountain’s visitors amuse her, she remarks that the Flying-Men’s zoo needs all kinds. For the most part, the Americanos do not get in the way and are mostly unaware of their close encounters with the supernatural at El Cielo. Encounters are brief, uneventful and only remembered as a sudden unexpected rustling of branches and leaves in the dark forest. Now and then, one of our sojourners inadvertently steps into the unexpected, feeling or may even see something not of this world. Sometimes the visitors are actually, and unknowingly gifted and for them great spiritual ambiguity is created. The legend says that soon all will gather to welcome the return of the Voladores-, Flying-men. I share this story with you only because I am bound to, so that you will know and be aware of the unexpected if, you are ever fortunate to visit El Cielo biosphere.